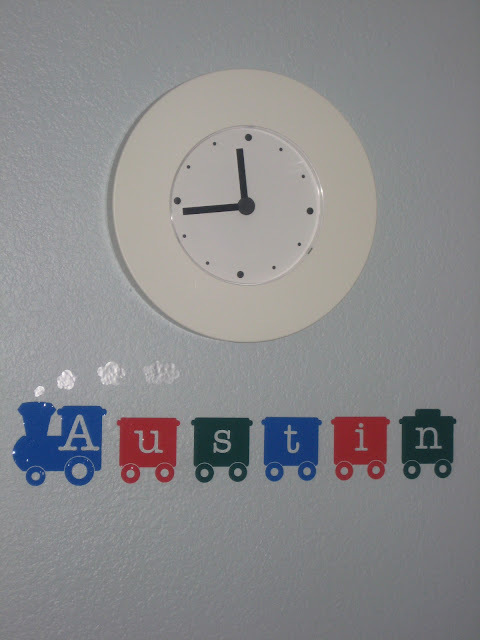 My mother-in-law bought these cute vinyl letters in the form of a train for each of my boys. They are from Personal Creations and they were very easy to put up on my walls. The boys love them, especially Tyler, my train fanatic. 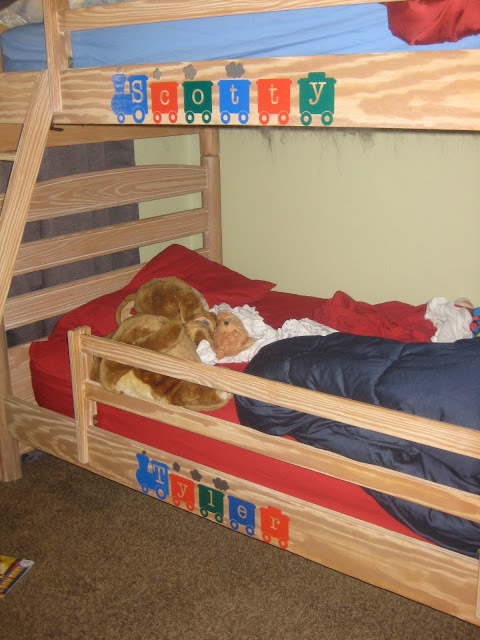 No, my boys beds are not made. I am washing bedding today and am too lazy to make the beds for one picture and then unmake them to wash them....mommy practicality at its best. Scotty wanted his on his bed and I thought it would be good idea. This way, Tyler can get up close and personal with his train and point and learn the letters of his name. They were a huge hit, Grandma, thanks again!